McLaren 570S Interior, Sat Nav, Dashboard | What Car? 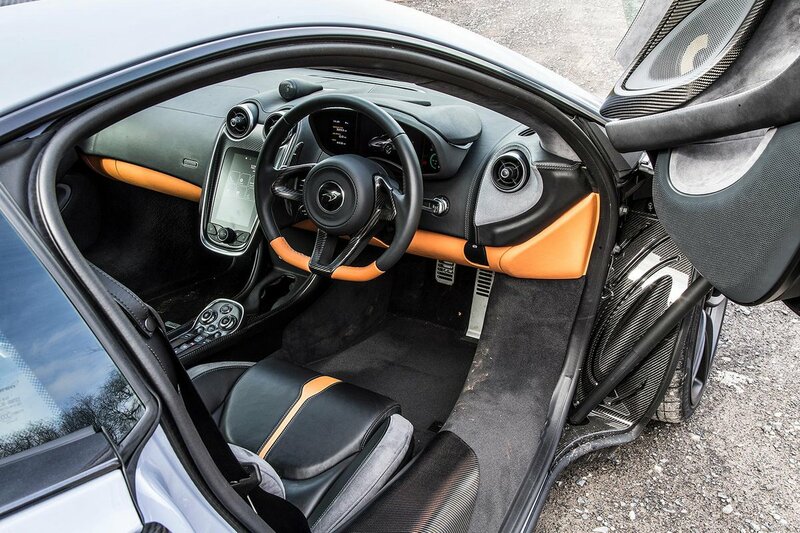 It’s very easy to get comfortable in the 570S. There’s plenty of adjustment for the driving seat and steering wheel and the chair itself is comfortable and very supportive. There are no conventional dials in the instrument binnacle; instead you get a configurable TFT display that shows you all-important information clearly and attractively. Infotainment is taken care of by a touchscreen system mounted in a portrait orientation in the centre console. It’s easy enough to navigate, but we still find systems like Audi’s MMI and BMW’s iDrive better; it can be tricky to hit icons accurately on a touchscreen when travelling down a particularly bumpy bit of tarmac. McLaren’s system still trumps that of the Ferrari 488 GTB, though. Looking around the rest of the interior, you notice that everything looks and feels high quality. From the action of all the switches and controls to the stitching on the leather seats, it all feels in keeping with the car’s £100,000+ price tag.